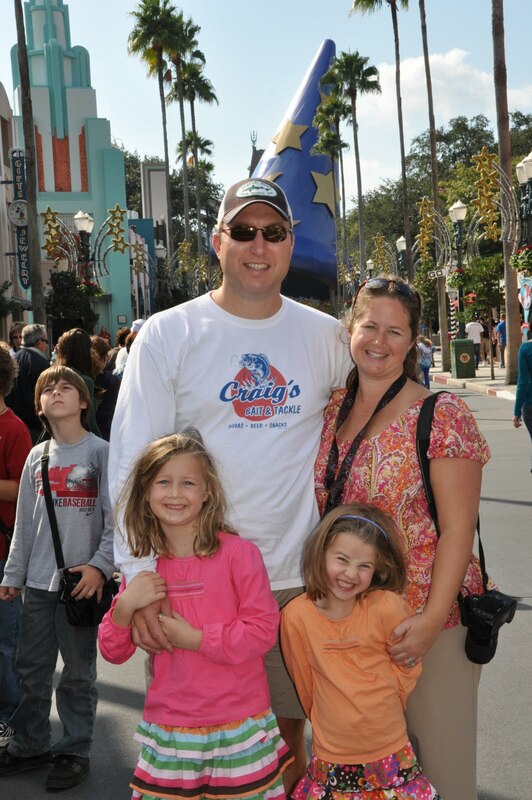 The White Hall Craigs: Disney - Our Last Day! Disney - Our Last Day! Edge of the seat aren't ya. We packed up, went to the Grand Floridian, had breakfast at 1900 Park Fair with Mary Poppins, Alice, Mad Hatter, Pooh, and Tigger. We then headed to Hollywood Studios. We hit up Toy Story - AWESOME! (it was raining, we had a 5pm flight, and we were there a bit later than we hoped, we were running to get to Fast Pass at Toy Story. I asked a lady in a suit with a name tag if we were going the right way, she asked why the hurry, I explained, she handed us 4 fast passes for 9am hour!!!). We were able to hit Tower of Terror - which Aubrey and I will never forgive Doug for making us do. Walked around the different sets, saw a parade, saw a street show - which the girls loved, and then headed out! Looks like a fun, magical trip!! Disney Day 4 - POOL Day!